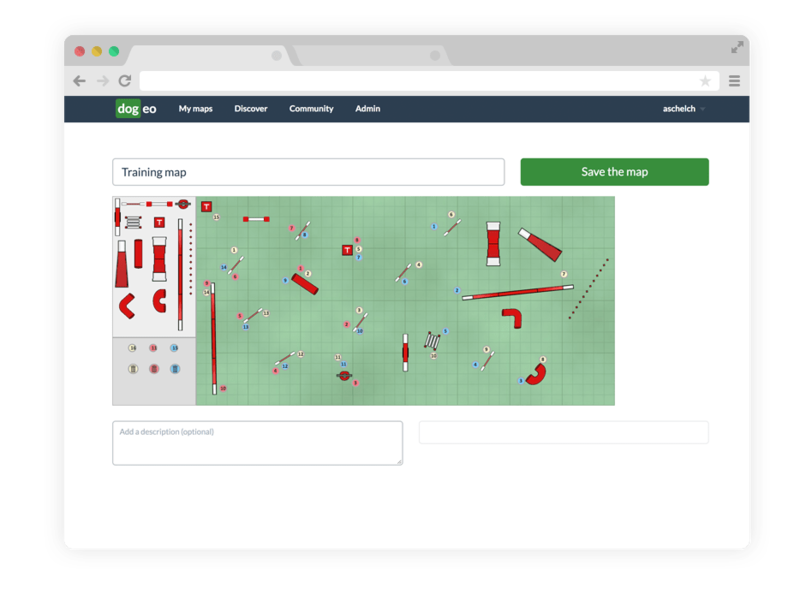 Dogeo is a web application for anyone practicing dog agility. 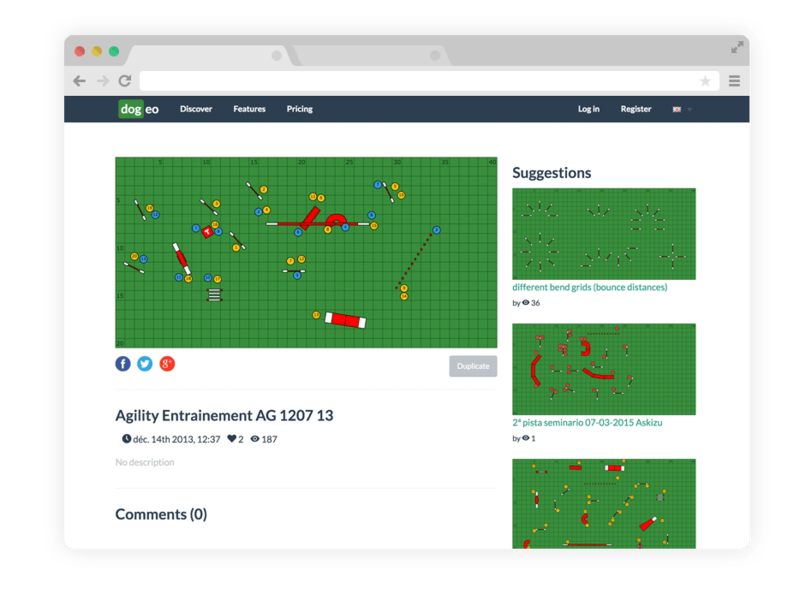 It allows you to create agility maps and share them with your agilitists friends. 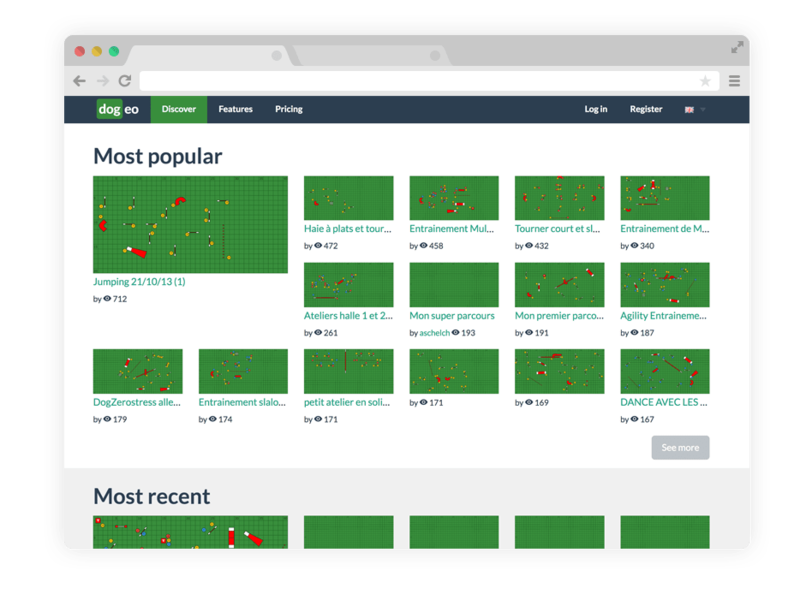 Dogeo lets you create agility maps using a beautifull and easy-to-use editor and share it with your friends and the other Dogeo users. 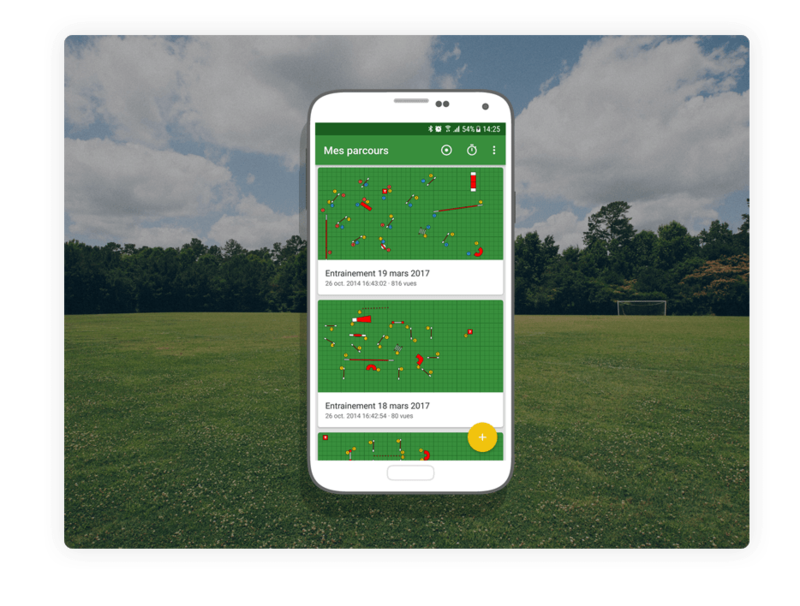 Once you have done your map on Dogeo, you can then use it on the field to bring you and your 4-legged friend on the podium. Using Dogeo is totally free and you can design an unlimited number of maps.